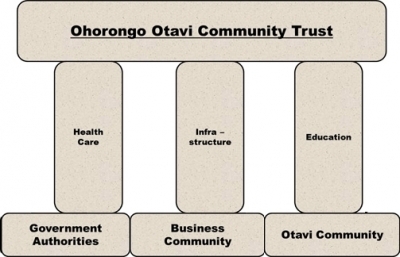 All investments in line with our Corporate Social Responsibility strategy are facilitated through the Ohorongo Otavi Community Trust (OOCT). The Trust is based on 3 pillars: HEALTHCARE, INFRASTRUCTURE & EDUCATION. All requests and proposals received are evaluated in terms of the 3 pillars. Requests for support, donations and sponsorships should clearly address one of the 3 pillars, with a clear indication of expectations and the associated costs. A committee sits on a regular basis, and all requests are answered in writing. Please note that bigger projects are pre-identified and budgeted for accordingly. Ad-hoc requests can be accommodated to a very small degree, as budgets are unfortunately not unlimited.